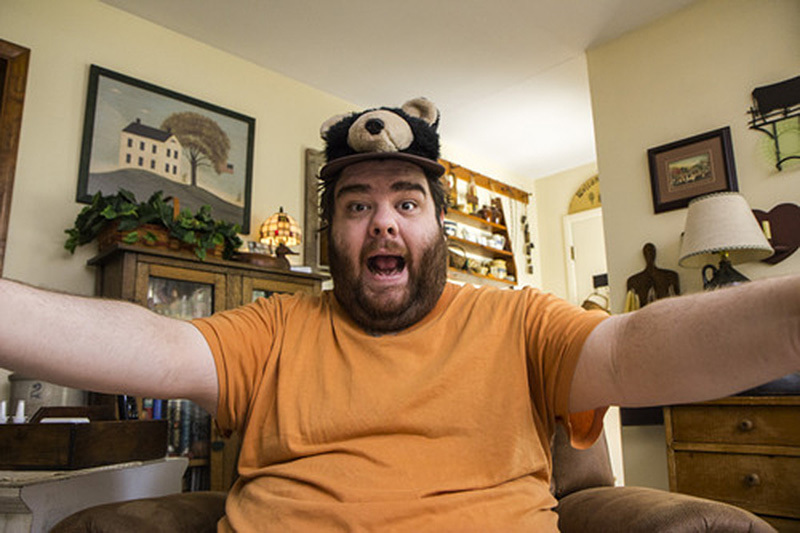 Benjamin Grelle, who goes by the moniker 'The Frogman' on the internet, is the man behind Babies With Laser Eyes, a tumblr site that introduced him to many a viewer. 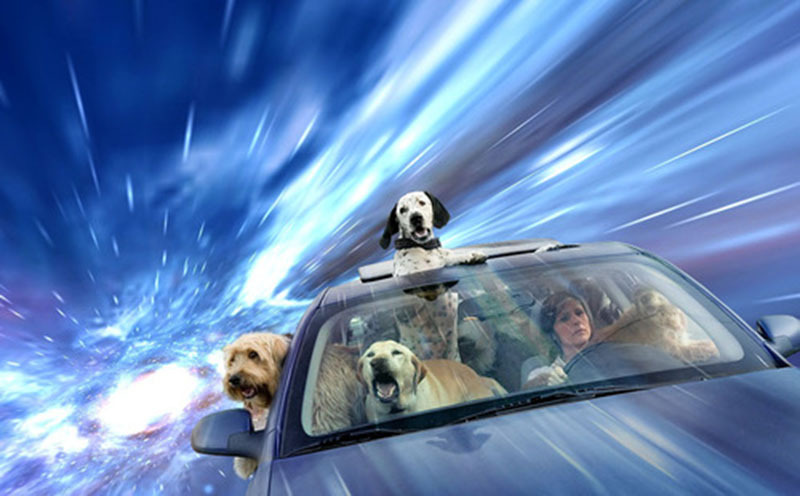 above: Benjamin Grelle, aka The Frogman, has a sense of humor, some photoshop skills and as he candidly admits on his site, Chronic Fatigue Syndrome. 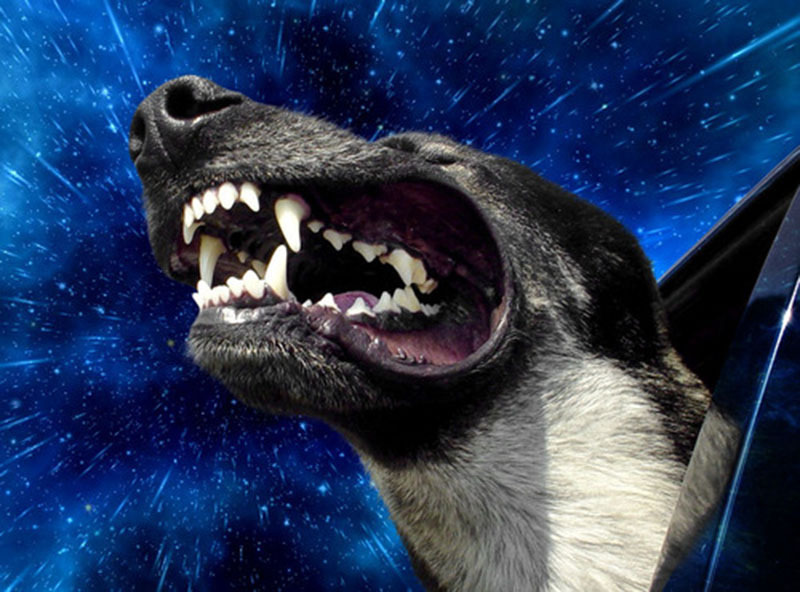 A large lovable looking bear of a guy with a penchant for dogs, his latest collection of photoshopped goodness is Warp Dogs. 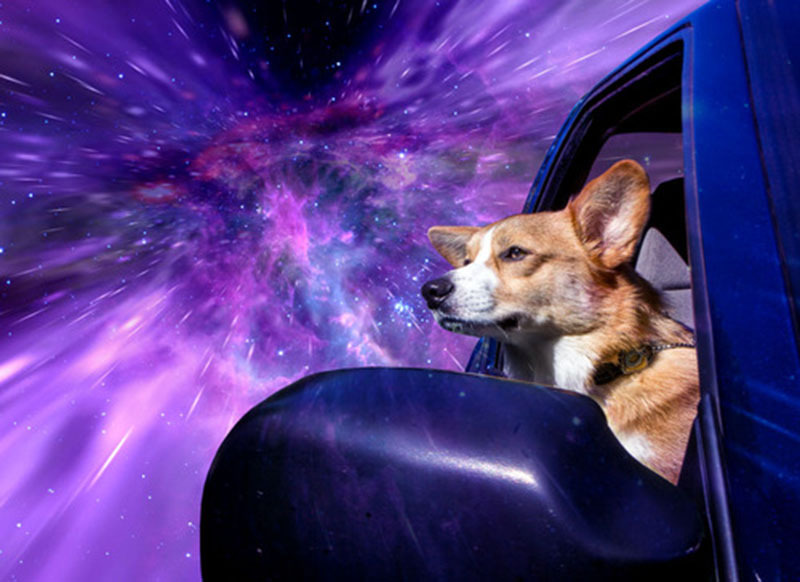 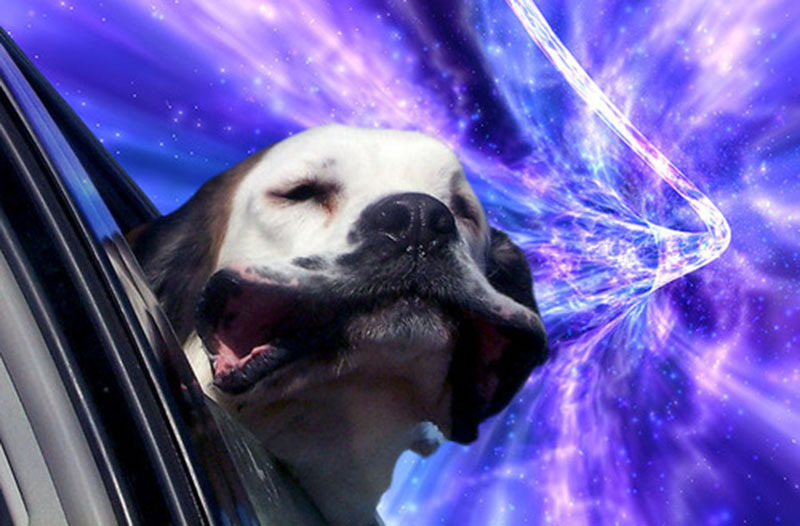 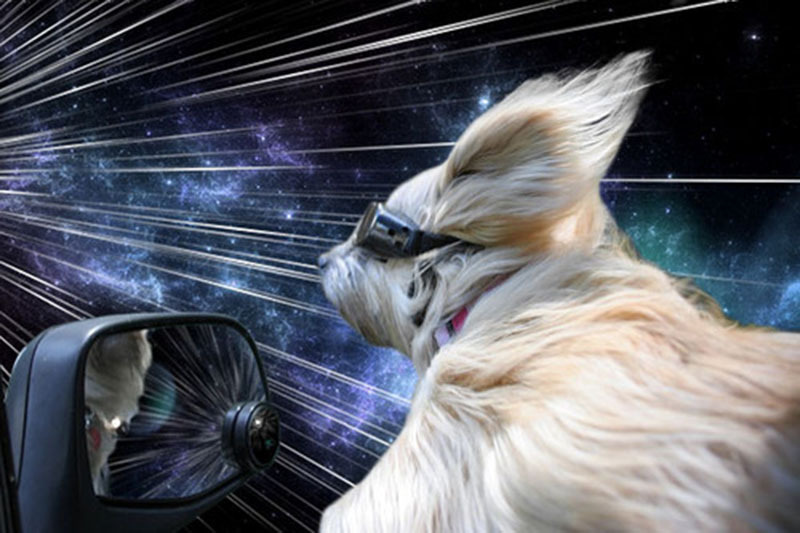 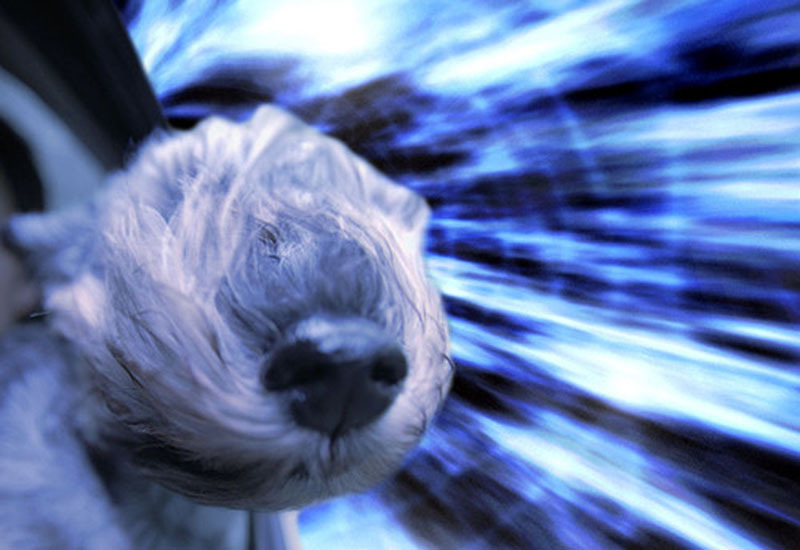 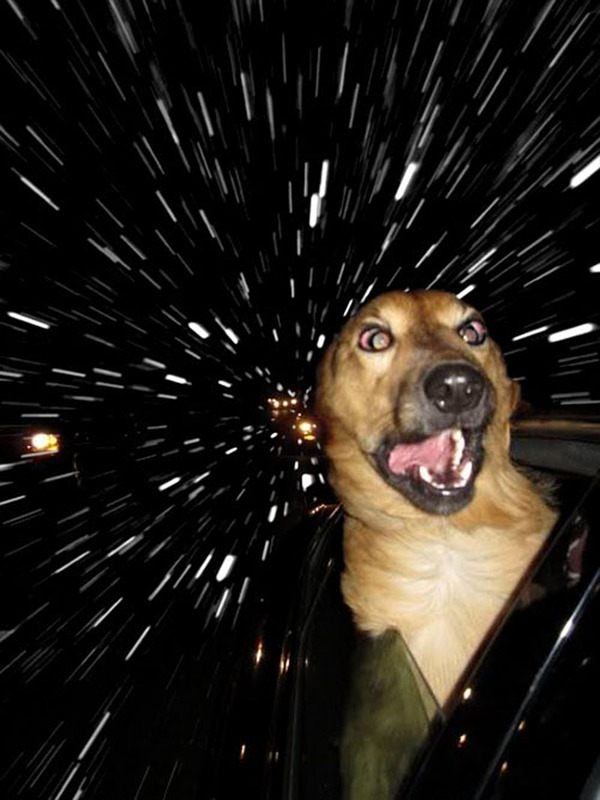 A collection of images of dogs hanging their heads out of car windows - jowls flapping, ears flying - whose backgrounds have been replaced with galaxies viewed at Warp Speed. 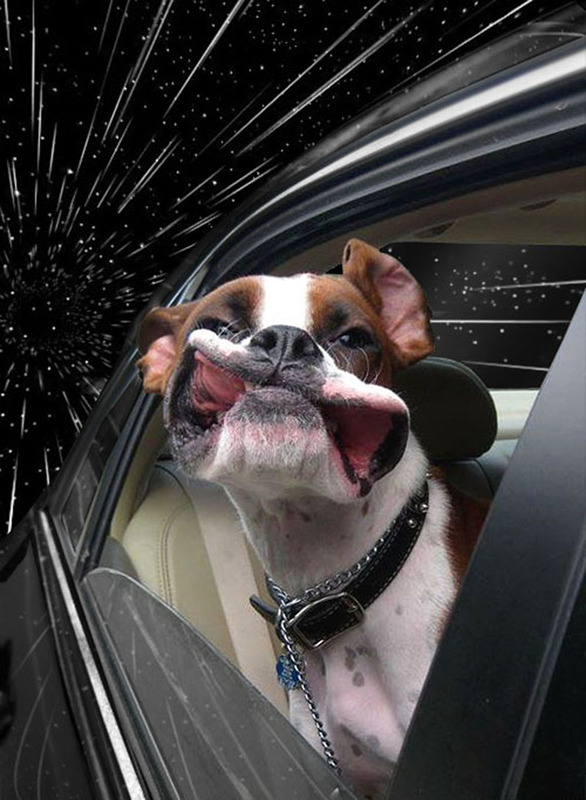 Simple and silly, if these images don't make you crack a smile, you're a mean one, Mr. Grinch. 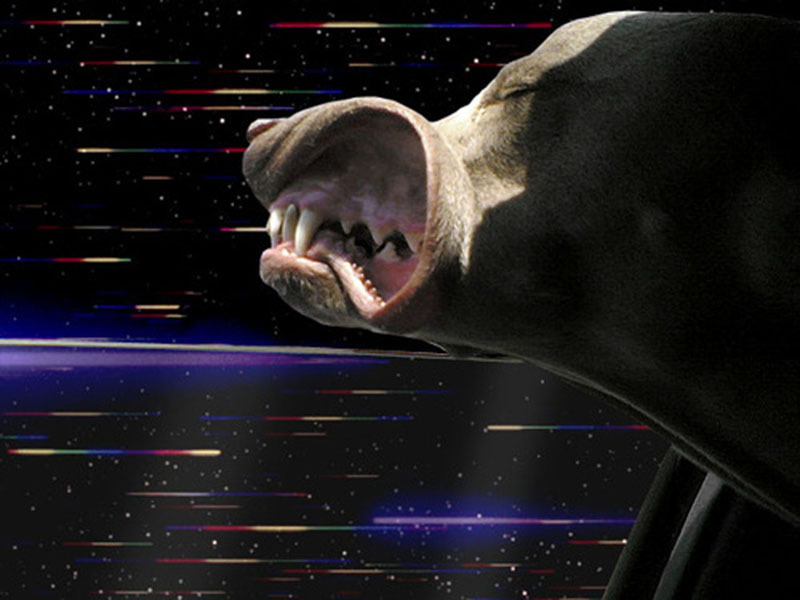 Check out more fun stuff from The Frogman here.